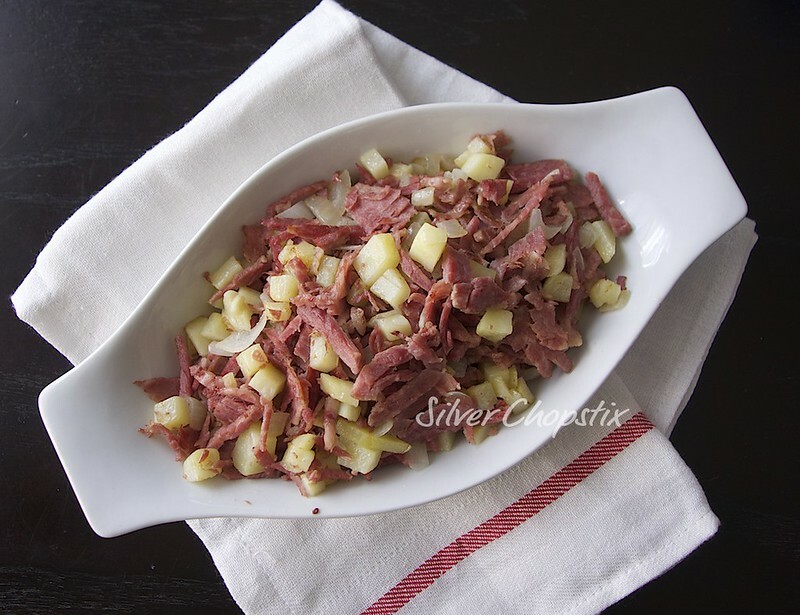 I have enough leftover corned beef from the sinigang I made last week to create another dish. 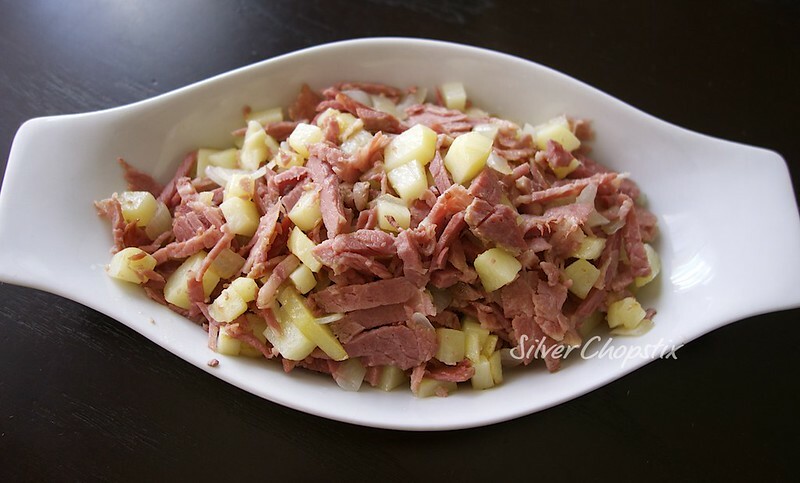 When I make the traditional corned beef and cabbage for my family, I usually make a Filipino style corned beef hash from our leftovers. 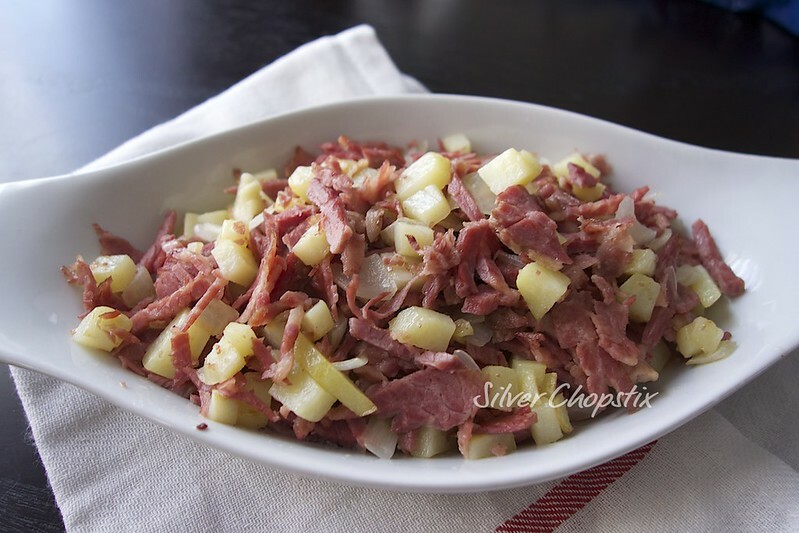 I posted a recipe for corned beef last year and this recipe is similar except for the addition of diced potatoes. 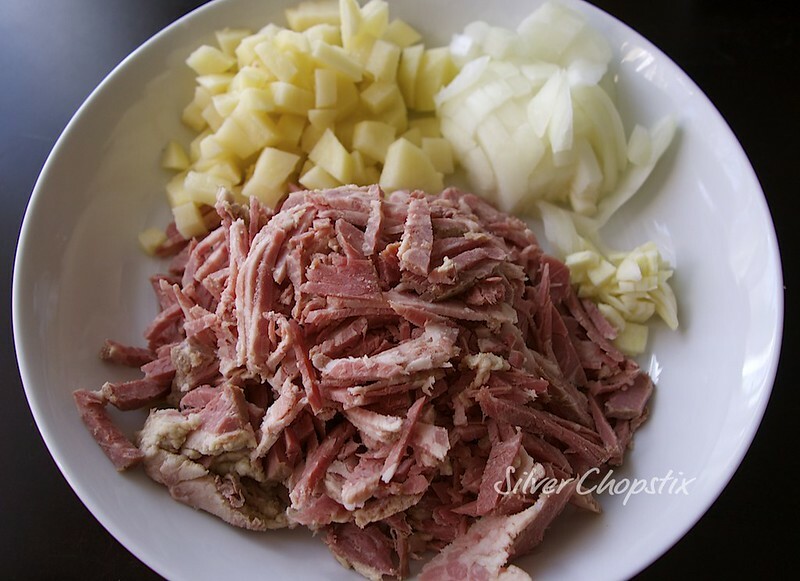 I did not use all the cooked corned beef for my sinigang, from what is left I sliced the meat as thin as possible and cut it into small pieces. You can also shred it which is ideal. Then finley chop a clove of garlic, one small onion and dice 1 small potato. Fry your diced potatoes in non stick pan with a little oil. Once the potatoes are done set it aside. Into the same pan sauté your garlic and onion until softened then add your meat and potatoes. Continue cooking until the meat is heated through. Season to taste.